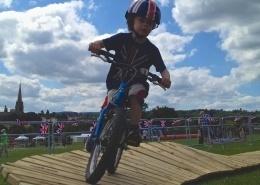 The B1KEPARK Network is made up of Mountain Bike Sites across the South of England that are under B1KE’s Management. Tidworth Freeride might not be as well known as the other Bikepark’s in the South but it’s rapidly building a reputation as a must ride venue. Built and riden by the local downhill and freeride biking community for nearly 10 years. The site has trails for riders of all levels, whatever the style of riding. Rogate Downhill, like all our B1keparks, caters for riders from beginners through to more advanced riders as well as elite level pro's who cut their teeth here and still think of the place as home. 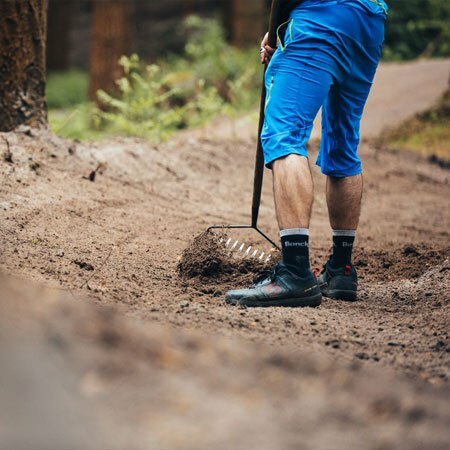 A growing number of tracks full of berms, doubles, tables and drops give some trails a genuine park feel but if natural tech is your thing you'll find that in spades too. The last year has seen a big overhaul of some of original favourites and we've big plans for more. 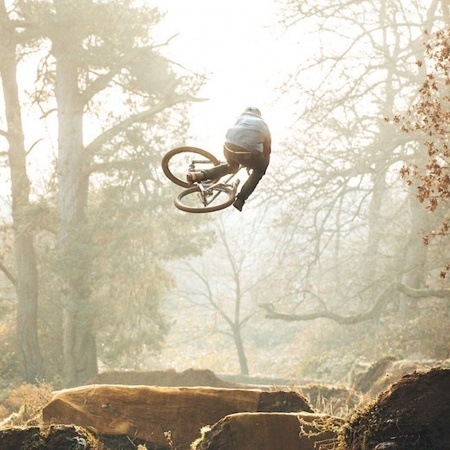 S4P BIKEPARK – One of the premier Dirt Jump spots in the UK developed by the S4P Crew and Managed by B1KE. 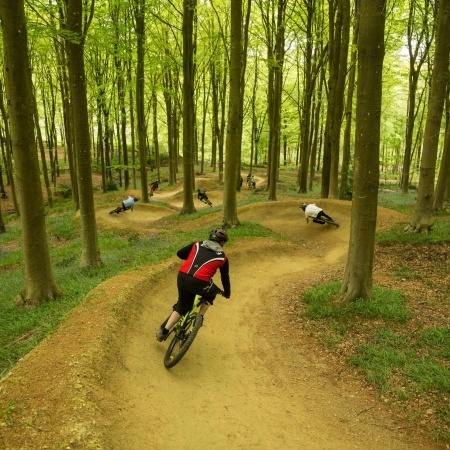 The BIKEPARK is situated adjacent to the same piece of woodland as the legendary Milford Trails which were established in 1998. 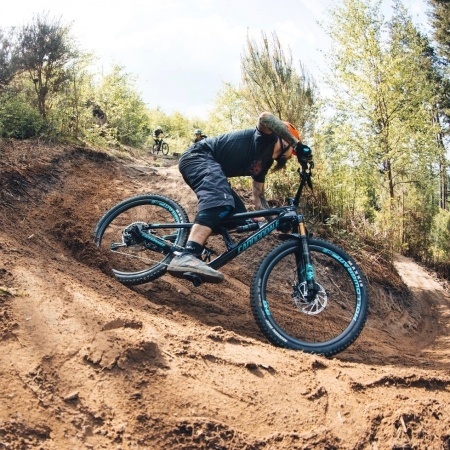 Built from the ground up by B1KE and S4P’s Dirt Jump and Freeride Pro’s Sam Reynolds, Brendan Fairclough, Olly Wilkins and the rest of the S4P crew. The sandy dirt at Milford is legendary and makes for great year round riding coming into it’s own during the winter months and wetter times in other seasons. Wind Hill B1KEPARK is located in the heart of the Longleat Estate (Wiltshire), situated in a dense patch of woodland. Wind Hills new project surpasses the previously titled Black Cannon and Allotment trails which date back to before 2017. There’s a broad range on offer, from easy Blue trails right through to complete Freeride and Downhill runs. Although not officially a trail centre and by no means one of our B1KEPARKS, The Surrey Hills always has been, and long will be, home. 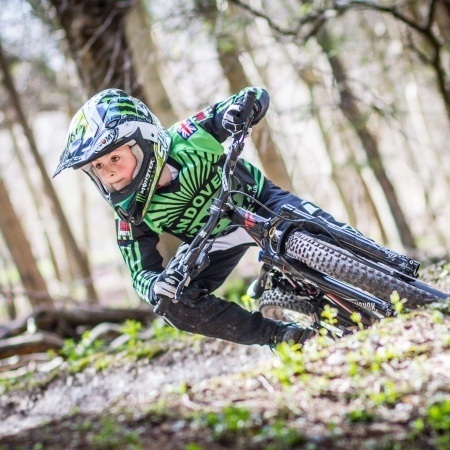 The area has offer some of the Englands finest trails ranging from the sedate to seriously gnarly. It has become a Mecca for mountain bikers and where our story began. 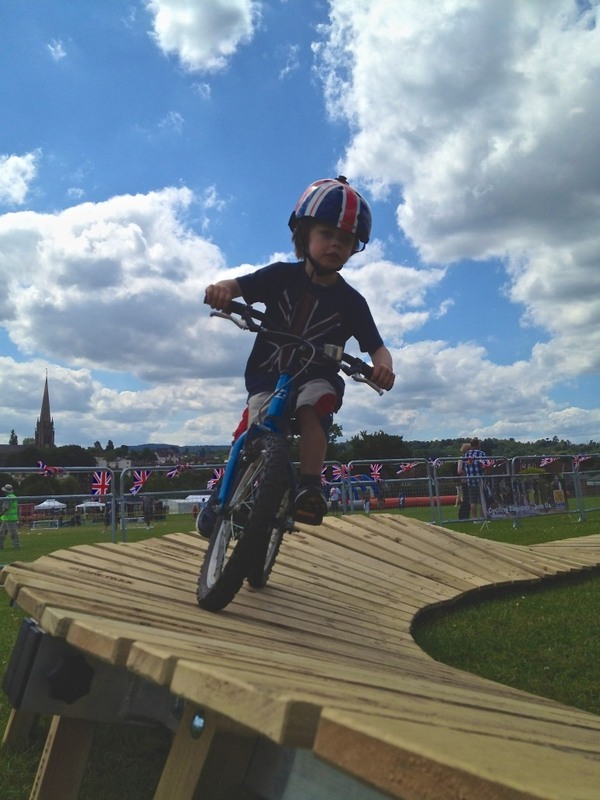 It’s not always possible to get to the trails but with our portable Pump track we can bring the trails to you. The flexible feature can be set up in a range of configurations to suit your event. 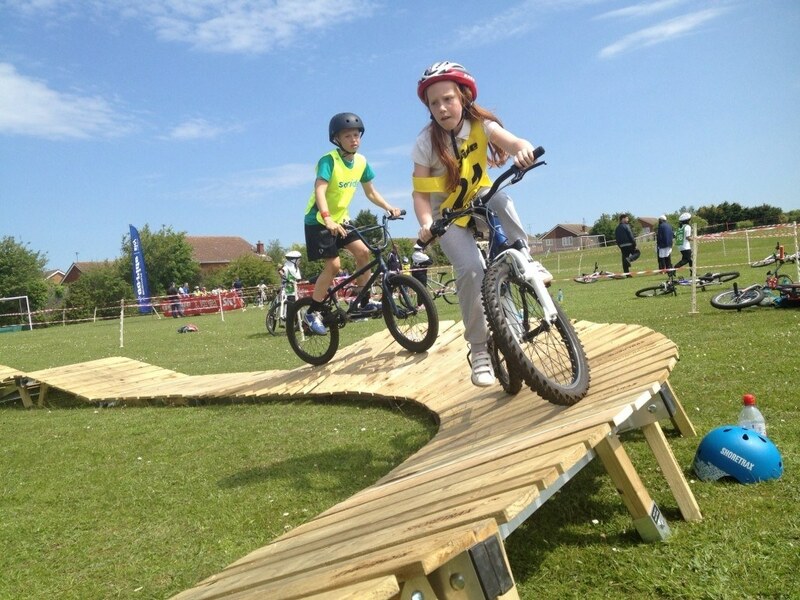 Rollers, berms and table tops can be linked to provide a micro trail inside or out. 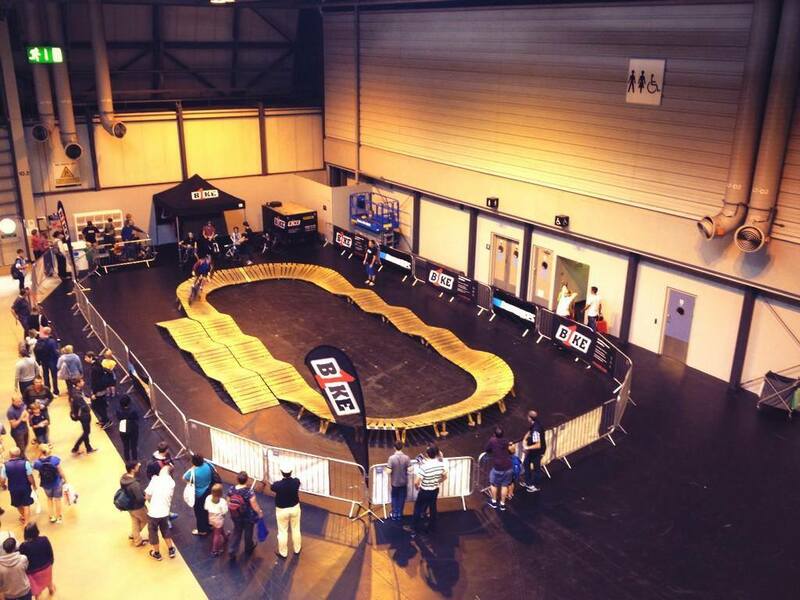 If you’ve an event that needs a central feature, or activity to compliment a race meet , event or show, get in touch. 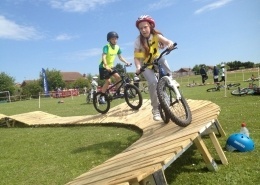 The track is supplied with bikes, helmets and and instruction team that’ll help everyone get more from the feature and give you some skills to take to the trails next time you go. 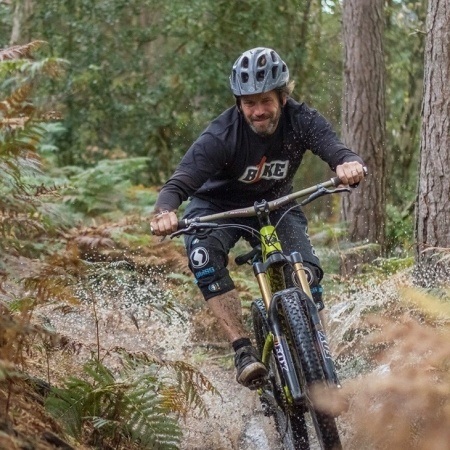 B1KE are working in partnership with the MOD and Landmark at Tidworth Freeride, Longleat Estate at Wind Hill, The Forestry Commission at Rogate DH (which are our Pay-to-Ride sites) and the S4P Crew and the Lovell Dirt Jump Collective to run the S4P B1KEPARK (Free to ride). B1KE are working with a range of groups, landowners and managers with a view to expanding the B1KEPARK Network so watch this space! To ride any of the B1kEPARKS in the B1KE Mountain Bike Park Network you Must be a B1KEPARK Member (Free-2-Ride or Site Member). You should have your membership card with you at all times and you agree to adhere to B1KEPARK Membership Terms and Conditions and any Site Specific Terms and Conditions. Any rider failing to observe the terms and conditions of use (either general or site specific) will have their membership cancelled and will be refused access to the B1KEPARK Network. Awesome venues with a great mix of trails and the best places to get your fix of fun. Oi Oi!